Your favorite product: Bracelet of black rubber with notches, steel roller, two-tone squares AB35.07 - is added to the wish list. 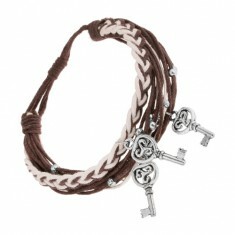 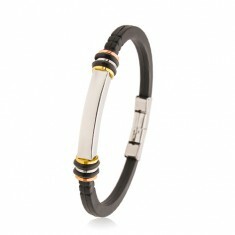 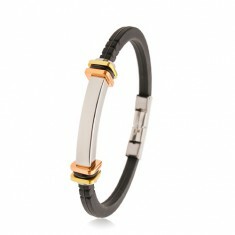 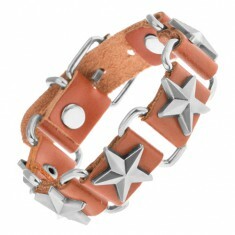 Black rubber bracelet, shiny smooth roller made of steel silver color, steel squares and rubber circles on the sides. 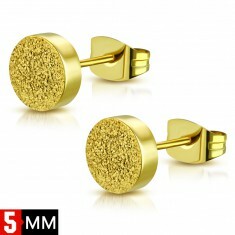 Your favorite product: Steel earring, black circle with a yellow skull, puzetky AA39.07 - is added to the wish list. 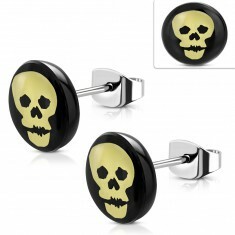 Earrings made of steel 316L with puzetovým stainless steel, black acrylic circle with a picture of a yellow skull. 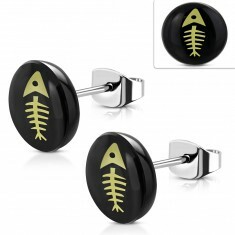 Your favorite product: Steel earring, black circle with a skeleton fish-yellow color, puzetky AA41.11 - is added to the wish list. Earrings made of steel 316L with puzetovým stainless steel, black acrylic circle with a picture of a yellow fish bone.